Season 7 of the Disc-It Cooking Show shot a few weeks ago and of course yours truly was there cooking up my Green Chile Chicken Wings. With the playoffs this weekend and the uper-duper bowl just a few weeks away, all of America will be eating tons of chicken wings. If you’re planning a big game shindig don’t buy frozen wings, or wings from the pizza guy, make your own. I’ve go two great recipes right here, just for you! I have posted my Winning Wing Wecipe from the Disc-It Round up back in July, but today we’ve got the video fresh from Season 7 of the Disc-It Cooking Show. Be sure to visit the Disc-It site or the Disc-It Facebook page and check out all the customs designs they have made over the years. If you don’t see something you like Nevin and his crew will be happy to make one just for you. Wash and pat dry winglets. Coat the wings with a light drizzle of cooking oil. Season both sides of the chicken with the green chile rub. Cover and refrigerate for at least 4 hours, overnight is best. Fill the Disc-it (or your favorite frying vessel) with a couple of inches of cooking oil and heat to 375-400F. Add 5-10 pieces of chicken to the hot oil and fry for 4-6 minutes or to an internal temperature of 160F. Allow to cool and drizzle with Green Chile Crema. 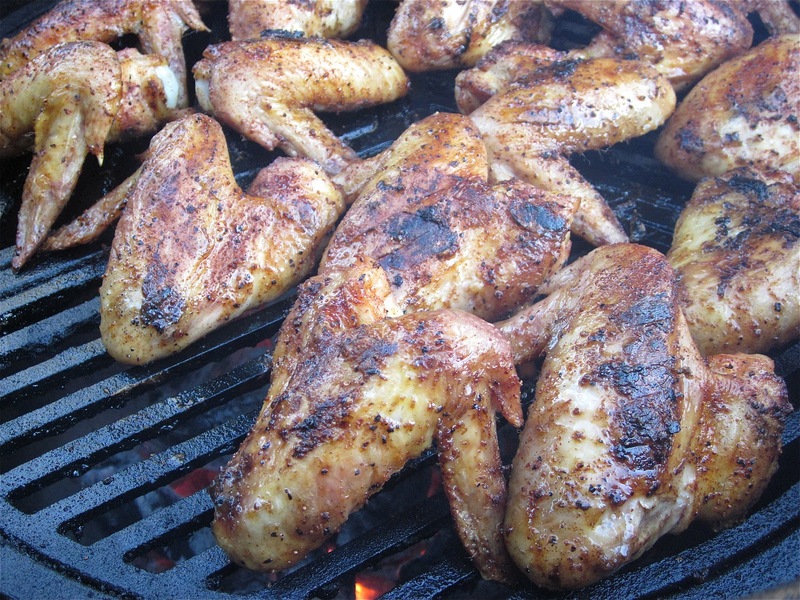 Coat the wings with a drizzle of cooking oil and season with the BBQ Rub. Allow the wings to marinate in the rub for at least 4 hours, overnight is best. Fire up your grill or charcoal smoker and set it up for indirect cooking then heat to 250º. 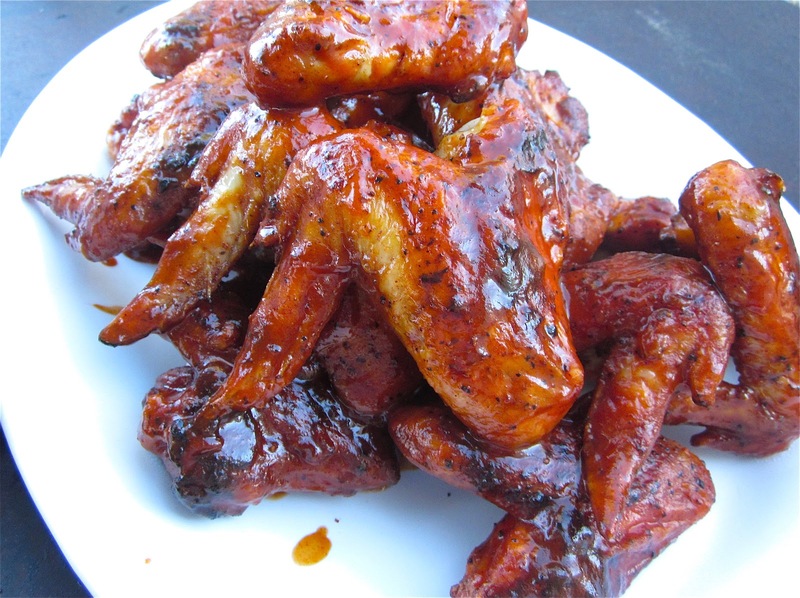 Place the wings on the grill and cook for 30 minutes. After 30 minutes flip the wings then continue cooking for another 30 minutes or until they reach an internal temperature of 160º. 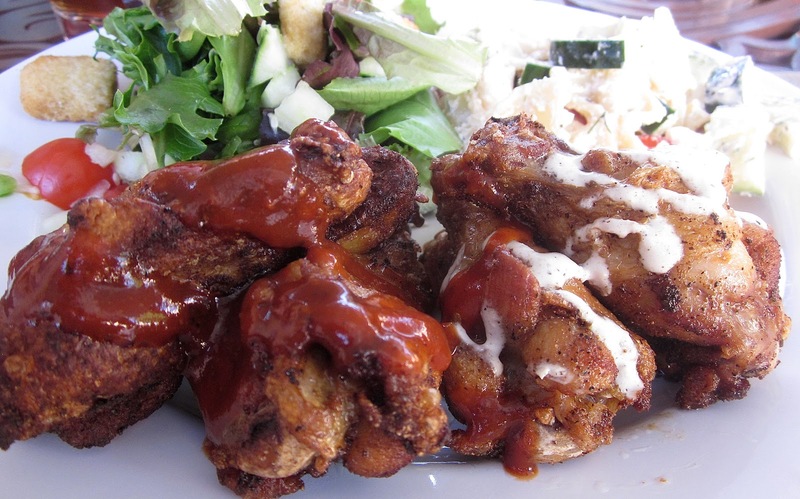 Mix the BBQ Sauce and hot sauce in a large bowl, remove the wings from the smoker and toss them in the sauce while they are still hot and give them a good coating. Once they have a good coating of sauce, plate them, and allow the sauce to bake into the skin for a few minutes. Then EAT! Need some sauce and rubs for your wings? Watch the video for a special promotional code to save you 15% on your order at AlbuKirky Seasonings. So there you go, a video to make fried chicken wings, a great recipe for smoked wings and coupon code to save you a little cash. Now the there’s no excuse not to cook up a big batch of wings for your game day party!